I know its been a while since I posted recipes, but on immense popular demand, I started taking orders for a few items. MashAllah I am getting an amazing response and thats pretty much why I don't get any time to blog lately. There's the 9-5 pm job, then the office homework, then the taking orders & planning them out, then thinking and experimenting with future menu items, and let's not forget the actual cooking :). However, just in case anyone thinks I am superhuman, let me clarify right now that I am not doing this alone, but together with my family (mom, dad, me, chacha, chachi) and everyone is contributing something to the menu or helping out with the business idea. I am going to continue with my recipes on the blog, but for those interested in the menu, its uploaded on the blog and is also updated on my Facebook page. Currently, there's a range of pickles/achaar's including some common ones like Gaajar ka Achaar (Pickled carrots in a tangy vinegar base) to new ones like Baighan ka Aachar (Eggplant Pickle) & Tamatar Shimla Mirch Aachar (Tomato & Capsicum Pickle). 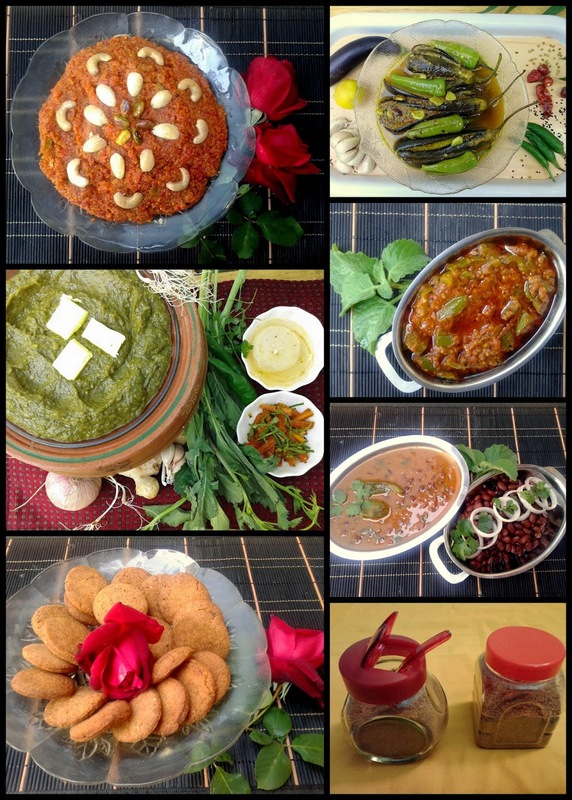 There are also winter favourites like Sarsoon ka Saag & Gaajar ka Halwa. For the future there will be a separate Dessert menu & a Savory menu (Desi + Continental). For those who would like to try out stuff that I make, please do order and let me know if there are any suggestions for the menu :).